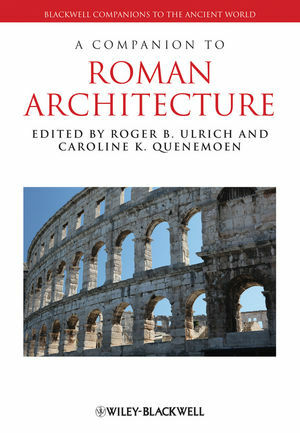 A Companion to Roman Architecture presents a comprehensive review of the critical issues and approaches that have transformed scholarly understanding in recent decades in one easy-to-reference volume. Roger B. Ulrich is Ralph Butterfield Professor of Classics at Dartmouth College, where he teaches Roman Archaeology and Latin and directs Dartmouth’s Rome Foreign Study Program in Italy. He is the author of The Roman Orator and the Sacred Stage: The Roman Templum Rostratum(1994) and Roman Woodworking (2007). Caroline K. Quenemoen is Professor in the Practice and Director of Fellowships and Undergraduate Research at Rice University. Previously she taught courses in Greek and Roman art and archaeology at Rice. Her research focuses on Roman architecture, including articles on the House of Augustus.